Buddhists celebrate many holidays, most of which honor important events in the life of the Buddha or various Bodhisattvas. The holidays are joyous occasions. Lay people take offerings of food, candles, and flowers to the monks and nuns in the local temples and monasteries. They chant the Buddha’s teachings, listen to Dharma talks and meditate. The dates of the holidays are based on the lunar calendar and often differ by country and tradition. Asalha Puja Day or Dharma Day is celebrated on the full moon in July. It honors the Buddha’s first teachings of the Dharma to the five hermits in the Deer Park at Benares. 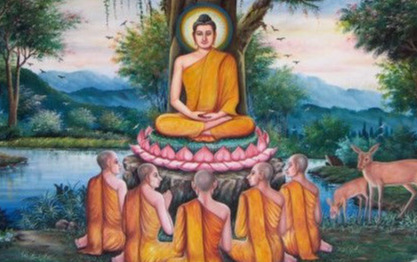 Upon hearing the Truth of his words, the five hermits overcame their doubts and became the Buddha’s first disciples--the beginning of the Buddhist sangha. Buddhist New Year is celebrated with great joy and spirit on different days in different countries. Special food is offered to monks and nuns. Buddha statues are bathed, houses cleaned, offerings made to ancestors, and lanterns lit to bring good luck for the coming year. Children bow to their parents and receive red envelopes with lucky money. Kathina Ceremony is usually held in October. In the Theravada tradition, monks and nuns go on a three-month retreat during the rainy season. After the retreat, lay people offer robes and other necessities to them. 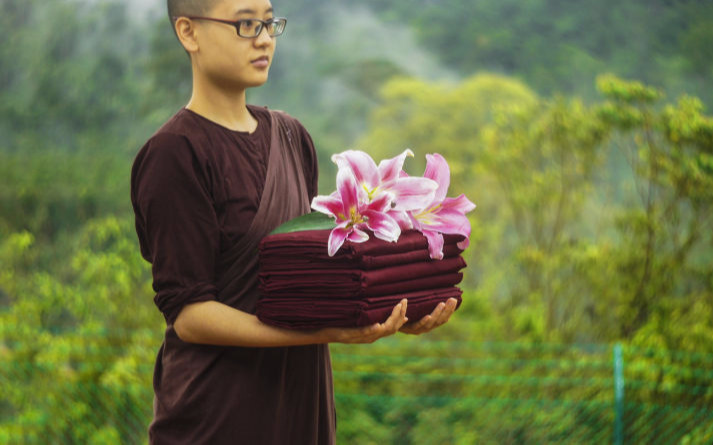 This day symbolizes the close relationship between the sangha and lay people. 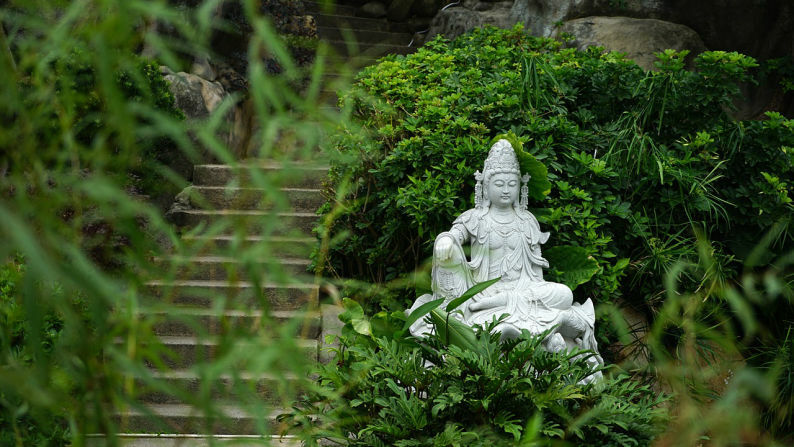 Bodhisattva Guan Yin Celebrations: These holidays celebrate the compassion of the Bodhisattva and are popular in China, Tibet and Nepal. The celebrations are in the form of worship by reciting Guan Yin’s name and reflecting upon our own compassionate nature. The birthday of Guan Yin is celebrated on the full moon day of the 2nd lunar month, his Day of Enlightenment on the 6th lunar month and his Day of Renunciation on the 9th lunar month. 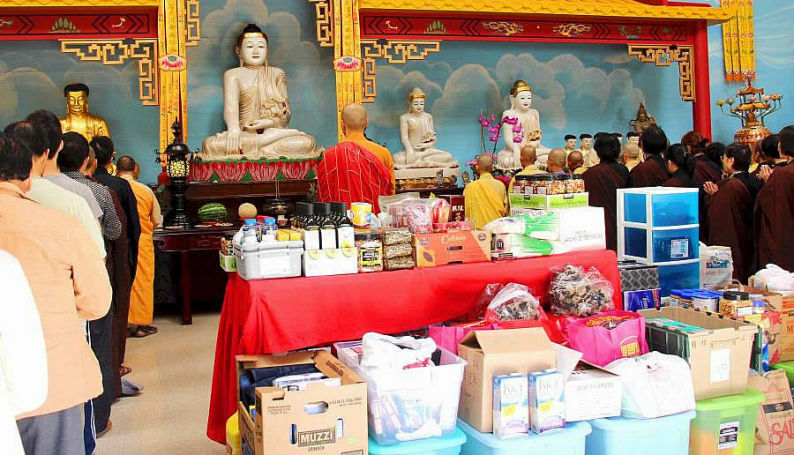 Ullambana: On this day Buddhists make offerings of robes, bedding and daily needs to the monks and nuns to commemorate the kindness of the Buddha’s disciple, Maudgalyayana. The Buddha told Maudgalyayana to make offerings to liberate his mother and others who had fallen into the realm of ghosts. 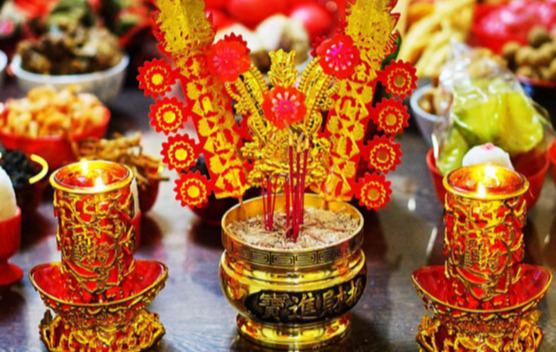 This tradition of making offerings for dead ancestors is usually observed in August or September. Wesak or the Buddha’s birthday is the most important holiday in Buddhism. It falls on first full moon day in May. On this day, Buddhists clean the temples and elegantly decorate them with flowers and banners. 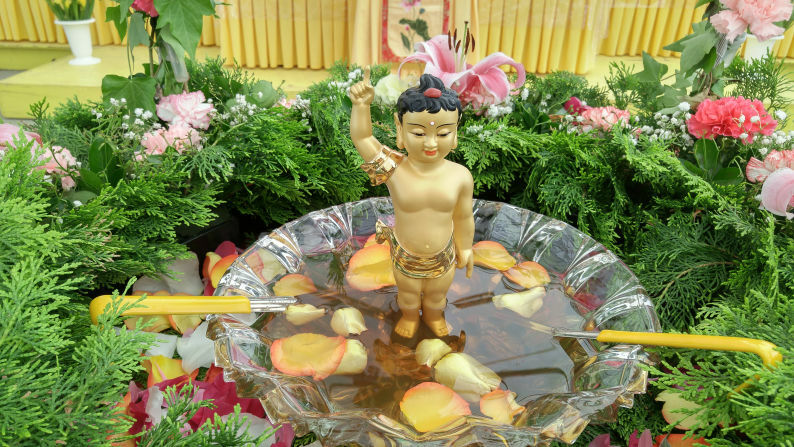 In Mahayana countries, like China and Japan, Buddhists pour water scented with flower petals over an image of the baby Buddha to purify their hearts. In Theravada countries, this day is known as Wesak and marks the Buddha’s birth, enlightenment and death. Buddhists visit the monasteries, and take part in street processions and entertainment.